Description Manufacturer Part Number: 3597635, 3595376, 3538215 Interchange Part Number: 3594998, 4037973, 3594995. Description 100% Brand New,never been used 3" Compressor Outlet Diameter 3" Exhaust V-Band Outlet 4" Inlet Diameter 600HP Capable 72 lbs/min Air flow 8 Blade Design Compressor Wheel ExD: 64mm ExD: 74.71mm InD: 56.60mm Ind: 76mm Made of high quality cast with steel material Oil Lube Cool T3-Divided Exhaust Inlet Flange Trim: 54.8 Turbine Wheel Wastegate Set at 20psi Professional Installation is Highly Recommended No Instruction Included ​ Fitment Dodge RAM 2500/3500 ​ Package including. 24 Months Warranty at any Chrysler, Dodge, Jeep & Ram Dealer across the US! Oem and Quality Fit! These fees are. Canada Orders. not be accepted – no exceptions! Description 100% brand new Cummins Diesel 6CTAA Made of high quality cast with steel material 4" Inlet Diameter 3" Compressor Outlet Diameter T3-Divided Exhaust Inlet Flange 3" Exhaust V-Band Outlet Journal Bearing - Wet Float Type Oil Lube Cool 600HP Capable Wastegate Set at 20psi Compressor Wheel 72 lbs/min Air flow 8 Blade Design InD: 56.60mm ExD: 74.71mm Trim: 54.8 Turbine Wheel Ind: 76mm ExD: 64mm Professional Installation in Highly Recommended No Instruction Included Application. The engine types may include 3.0L 2987CC 182Cu. This part fits vehicles made in the following years 2014, 2015, 2016, 2017. To confirm that this part fits your vehicle, enter your vehicle's Year, Make, Model, Trim and Engine in theCompatibility Table. 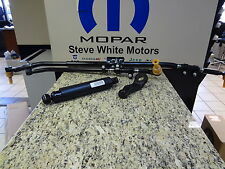 Fits 2009 to 2018 Dodge Ram 1500 DS Body. 24 Months Warranty at any Chrysler, Dodge, Jeep & Ram Dealer across the US! Oem and Quality Fit! Warranties are only valid in the U.S.A. not included in your order. Compressor: Trim: 55 A/R: .5 Inducer: 50.5 Exducer: 76 Turbine: Trim: 73 A/R: .63 Inducer: 65.5 Exducer: 55.9 Professional Installation is Highly Recommended We do our best to do the following things: 1.Provide fast shipping services All products are in stock and can be shipped from California within one day to ensuring that you receive the product in the shortest possible time(about 3-7 day). 2.Dispel all concerns of customers before and after sales. Bought used as is but never ran it myself. Has shaft play but not enough to touch either wheel or housing unless you force it. Only mark on the compressor housing is very minor and shown in picture. 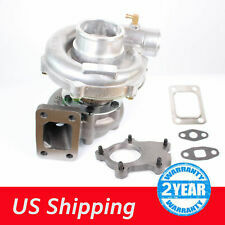 Fits 2007 to 2011 Dodge Ram 2500 / 3500 / 4500 / 5500 With 6.7L Diesel Engine. New Turbo Speed Sensor. These fees are. not included in your order. International Orders. Warranty at any CDJR Dealer across the USA! 1996-1998 Dodge Ram 3500 5.9L 359Cu. 1996-1998 Dodge Ram 2500 5.9L 359Cu. Will received everything show in the picture only! (Manual Transmission only! ). Handle : Usually takes 24 ~ 48 hrs. 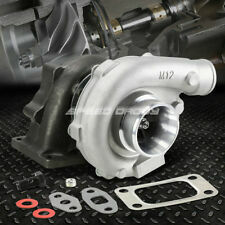 Fit for: 99~02 Dodge Ram Cummins 5.9L Truck 6BT HX35 HX35W 3592766 Diesel Turbo Charger. /ft. Torque Gain; Incl. Wastegate Actuator;. Advanced Flow Engineering, Inc. (aFe) produces high flow, high performance air filters & intake systems for the automotive industry. We are a team of engineers, machinists, production and sales people who believe in the product we design. Notes Location : Passenger Side. Location : Right. Condition : New. Improves torque in the lower end – great for towing applications. Therefore all implied warranties that may apply to your part are limited to the duration of this written warranty. 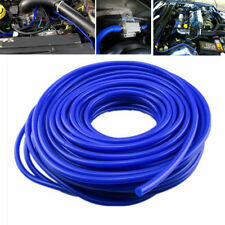 This exhaust manifold kit, includes, the manifold, 6 exhaust gaskets, turbo mounting gasket and turbo drain back gasket, every thing you need to replace that broken or cracked manifold on your valuable Cummins engine. Pocket Rivet Style Wheel Cover. 2009-2015 Dodge RAM 1500 ONLY. 2X Front Fender Flares. 2X Rear Fender Flares. Not fit RAM 2500/3500. If a part was successfully installed, went into service, and then failed, it may be eligible for warranty repair. 1994-2001 Dodge Ram 1500 (4WD Only). 1994-2010 Dodge Ram 2500 (4WD Only). 1994-2010 Dodge Ram 3500 (4WD Only). Provides 3" Front side lift. Made of steel with black painting. If a part was successfully installed, went into service, and then failed, it may be eligible for warranty repair. 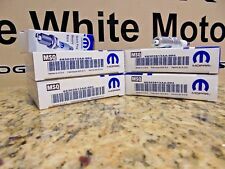 Part Number: 68234962AA. The engine types may include 3.0L 2987CC 182Cu. This part fits vehicles made in the following years 2014, 2015, 2016, 2017. To confirm that this part fits your vehicle, enter your vehicle's Year, Make, Model, Trim and Engine in theCompatibility Table. 1994-2001 Dodge Ram 1500 (4WD Only). 1994-2010 Dodge Ram 2500 (4WD Only). 1994-2010 Dodge Ram 3500 (4WD Only). Provides 2.5" Front side lift. Made of steel with black painting. If a part was successfully installed, went into service, and then failed, it may be eligible for warranty repair. Trending at $29.82eBay determines this price through a machine learned model of the product's sale prices within the last 90 days. Standard T3 Flange. Turbo Specs Handle : Usually takes 24 ~ 48 hrs. 07-08 Ram 3500 Truck Cab & Chassis 2 Wheel;. 06-08 Ram 3500 Truck 4WD Front Wheel Bearing & Hub Assembly. Fits 8 LUG Wheel. 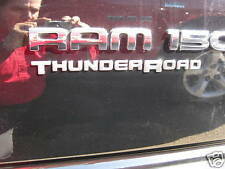 06-08 Ram 2500 Truck 4WD;. Fits FRONT either Driver side or Passenger Side. Pocket Rivet Style Wheel Cover. 2009-2015 Dodge RAM 1500 ONLY. 2X Front Fender Flares. 2X Rear Fender Flares. Not fit RAM 2500/3500. »We only warranty cost of parts. Parts must be in new, salable condition. 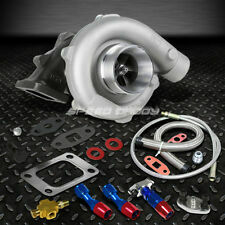 2003-2004 Dodge Ram 2500 ST L6.-cc Forced Induction::Turbo Kits. 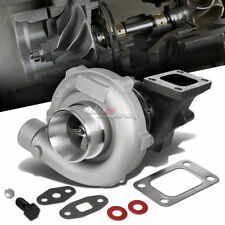 2006-2007 Dodge Ram 2500 ST L6.-cc Forced Induction::Turbo Kits. Includes Gaskets: No. Includes Fuel Injectors: Yes. Includes Intercooler: No.